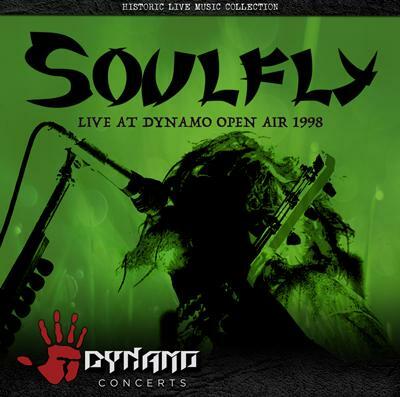 Soulfly - "Live At Dynamo Open Air 1998"
“SOULFLY: LIVE AT DYNAMO OPEN AIR 1998” encapsulates the eclectic thrash metal band’s live performance debut. On this show, Soulfly played songs from their first album as well as Sepultura classics, such as ‘Beneath The Remains’ and ‘Roots Bloody Roots’. Guests on this special show include Chino Moreno (Deftones) and Benji Webbe (Skindred). “PANTERA: LIVE AT DYNAMO OPEN AIR 1998” catches Pantera at their ultimate height, touring their seminal ‘Great Southern Trendkill’ and ‘Live 101’ live album of the previous year.